What makes a team successful? Is it the superstar strikers, phenomenal midfielders, impenetrable defence or exceptional coach? While it takes a lot to make a successful team one group of players can make or break a successful season of any team. Those are the defenders. The backbone of the whole team and the guardians of the goal. While it’s hard to rank leagues by which has the best defenders, we can all agree that England Premier League is up there. With names like Bobby Moore, Jaap Stam, Rio Ferdinand, John Terry and others long retired from their football duties, it’s only fair to check who are the best EPL defenders in 2019. There is little to no reason not to include John Stones on our list of top 6 defenders. In fact, this list started off as top 5, but not mentioning Stones would be a crime. John Stones is an English professional player, who plays at the Centre back position for one of the biggest clubs in England as well as the English national team. With 24 years of age, he has established himself as one of the best and one of the most promising players in the world. His football career started off in 2011 when he joined Barnsley FC. In two short years, he was noticed by Everton who bought him for a fee of 3.50 Mill. €. After spending three years at Toffees, the English giants, Manchester City came with an astonishing offer of 55,60 Mill. €, which was enough to convince Everton to give up their young star. Ever since then he made 104 appearances for Manchester City as well as 37 appearances for English national team. Toby Alderweireld played for a total of 4 teams in his career. He started off in Ajax, where he spent his youth, then transferred to Atletico Madrid in 2013, who loaned him out to Southampton for one season. After returning to Spain, Tottenham Spurs approached Atletico Madrid with an offer of 16.00 Mill. €, which was enough to persuade them into selling him to the Premier League side. Ever since Toby Alderweireld arrived at Tottenham, he became an irreplaceable part of the team. With 149 appearances for Tottenham and 90 appearances for Belgium national team, Toby Alderweireld will go down in history as one of the best defenders of our time. Victor Lindelof is a 24-year-old Swedish defender, who started off his career in Swedish 2nd tier team Vastreras SK in 2011. Only a year later, when Victor Lindelof was 17 years old, he got approached by Benfica B team, who bought him for a fee of 3,06 Mill. €. After three years of gathering experience in Benfica B team, he got promoted to the main team, with whom Victor Lindelof won the national league title three times. With his exceptional performances in the Portuguese team, he was quickly noticed by Manchester United, who did not hesitate to sign him in summer of 2017 for a fee of 35.00 Mill. €. Ever since then Victor Lindelof became one of the key men in their defence. Due to his incredible work rate and huge improvement in recent years, Victor Lindelof has been recognised as one of the best defenders in the Premier League, in addition to being one of the best Swedish players of our time. Aymeric Laporte, the 24-year-old French prodigy is not only one of the best defenders, but also one of the most expensive defensive players in the world. As it stands now, his market value is estimated to be around 60.00 Mill. €, which is a fair price to pay for a player like him. His career started off in Spain when he joined Atletic Bilbao in 2012, with whom he remained up until 2018 when he was noticed by Manchester City. He did not win many titles with his Spanish team, nonetheless, his potential was recognised by City, who signed him for an incredible fee of 65.00 Mill. €, which is the 3rd most expensive transfer for a defender in the history of football. 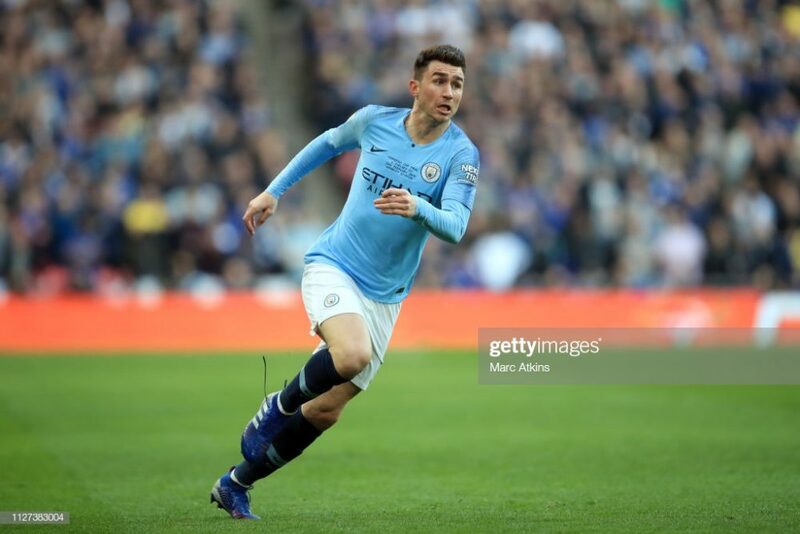 Ever since joining Manchester City, Aymeric Laporte already won the Premier League, two EFL Cups and a FA Community Shield. While he plays at one of the best clubs in the world, Aymeric Laporte has not yet been called into the French national team. The 25-year-old Scottish defender has been recognised as one of the best defenders of our time and an essential part of the Reds squad. Why he stands out is not only his defensive skills but also his offensive presence, which makes him a major contributor of his team ever since he joined them in 2017. He is without a doubt one of the best purchases Liverpool has made in recent years, when they stole him from Hull City in 2017 for only 9.00 Mill. €. Ever since he arrived at Liverpool, Andrew Robertson played a total of 69 games, scored 1 goal and even has 16 assists. In addition to being one of the key men of the Reds, Andrew Robertson is also the captain of the Scottish team and is as of now one of the most valuable defenders in the world. It should not come off as a surprise that Virgil van Dijk found his way at the top of our list. There is only one word that can describe Virgil van Dijk and that is phenomenal. Ever since his arrival at Liverpool in January 2018, he single handedly made the defence rock solid. I am still unsure how he did it, but what once was a leaky backline which failed to defend themselves is now an impenetrable wall, which only conceded 20 goals in the EPL league thus far. Despite the fact he has never won any silverware except Scottish League Cup in 2014/15 and 2 Scottish Premiership titles in 2013/14 and 2014/15, Virgil van Dijk is without the doubt one of the best defenders in the world, who still holds the record as the most expensive defender with an 84,65 Mill. € transfer fee.